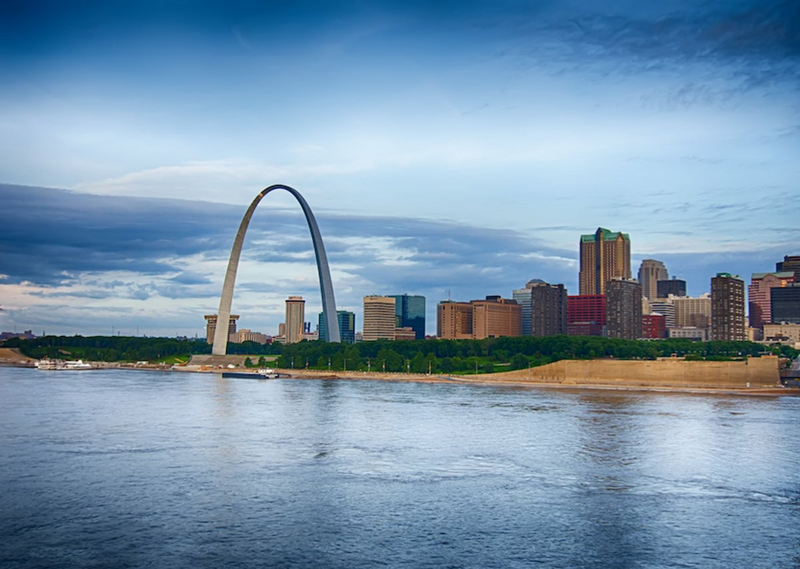 St. Louis has become famous for the Gateway Arch monument that was built in the 1960’s to pay tribute to the early 19th century expeditions of Lewis and Clark and the westward expansion of America. Once considered "The Gateway to the West," St. Louis is now thought of as a part of the heartland of the country. It is a thriving metropolis in Missouri, second only to Kansas City in terms of population. According to Zillow.com, the median home value in St. Louis is currently $102,400. Additional data reveals that the median home value has increased 7.8 percent in the past year, and it’s anticipated to rise another 2.8 percent within the next year. As St. Louis home values increase, now is a good time to boost them even further with home improvements as new homebuyers enter the market. Among the most popular remodeling projects, radiant floor heating adds value and affordable luxury to any room in the home. These St. Louis homeowners decided to install radiant heating when recently remodeling their 123 square foot master bathroom both to improve their homes’ resale value and add comfort to their daily routine. They chose to heat their bathroom tile floors with 375 feet of 120-volt TempZone™ Cable for $560. That amounts to $5.97 per square foot. By adding a SmartStat™ programmable thermostat for $169, it brought the total to less than $750. (See floor plan below). 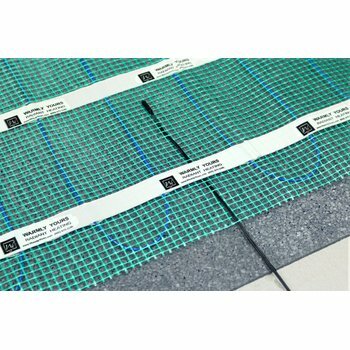 The floor heating system is also very economical to operate. It costs just 27 cents to heat the bathroom for 4 hours a day, according to WarmlyYours' Energy Use Calculator. This tool factors in the average kWh cost in St. Louis, which is slightly less than 13 cents. 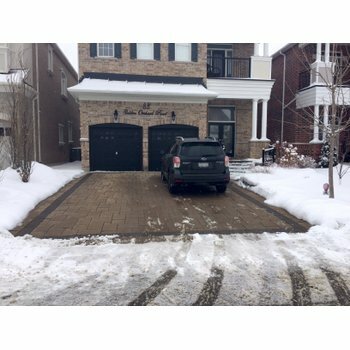 During the coldest month of the year, it costs approximately $78.00 to run this system according to WarmlyYours' Heat Loss Calculator. However, this cost is just an estimate and most likely will be much lower depending on the primary heating source of the home. 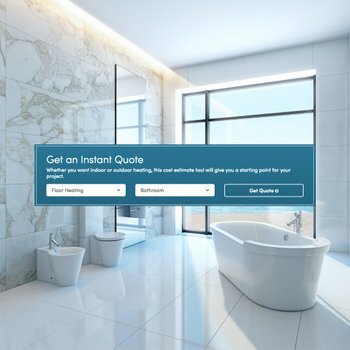 WarmlyYours makes it easy to get a quote for your own bathroom, or any other room in your home, with our online Instant Quote tool. Just enter your project information to receive an instant side-by-side comparison with the recommended products and their corresponding costs. If you prefer the personal touch, just call (800) 875-5285 and one of our account managers will be happy to help. To obtain a custom installation plan for your room, you can also submit a floor plan online or send it to your account manager via email (sales@warmlyyours.com) or fax (800-408-1100). By getting a SmartPlan™ installation plan, it guarantees that you have all the relevant information you need to get your project under way. WarmlyYours wants to help you start smart. Plus, we’re here for you if you are a DIYer and will be installing the system yourself. WarmlyYours provides 24/7 installation support to assist you during each step of the installation process. Our technical experts are available at any time, weekday or weekend, at your convenience by simply calling 800-875-5285. Whether you live in St. Louis or another city that could benefit from a little radiant heat, www.warmlyyours.com has a solution for you. Have a question for us? There are several ways to reach us. You can call us at 800-875-5285, live chat us at www.warmlyyours.com, or email us sales@warmlyyours.com.